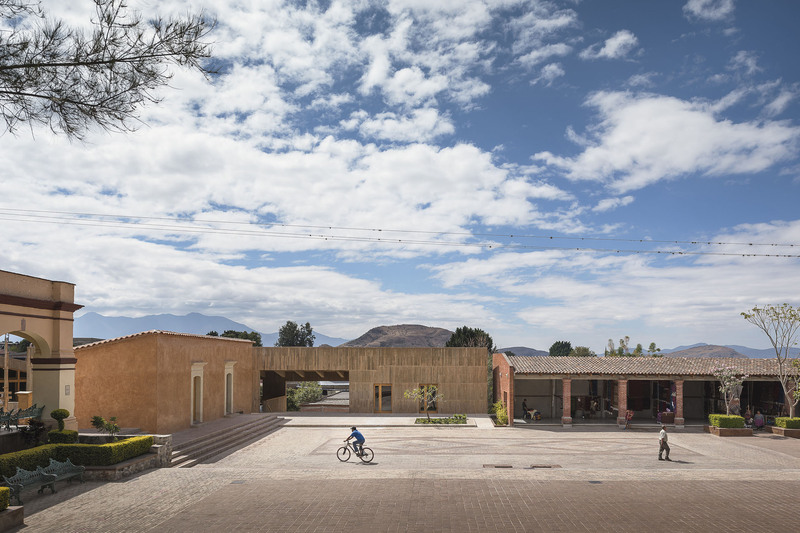 This Community Cultural Center exhibits the archeological and textile wealth of Teotitlán del Valle, a village in the Mexican state of Oaxaca. 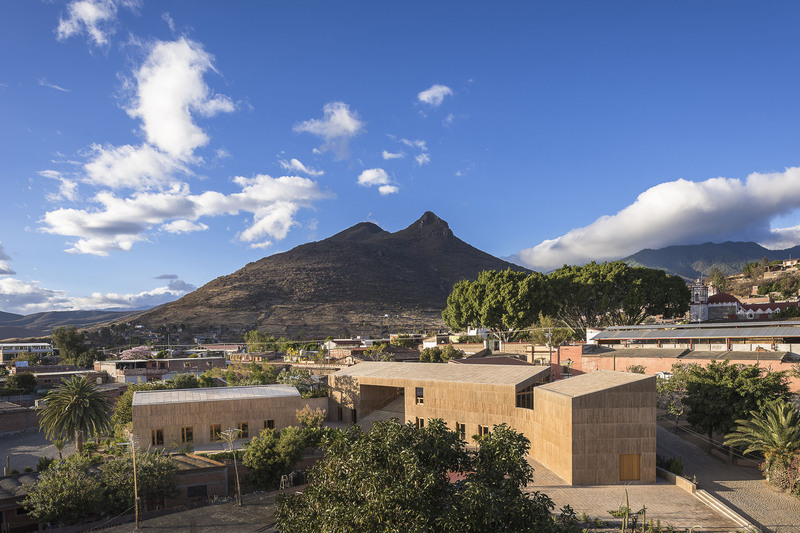 The principal volume, facing the village square, houses the Museum which will host the collections and activities of the present Teotitlán Museum of History. 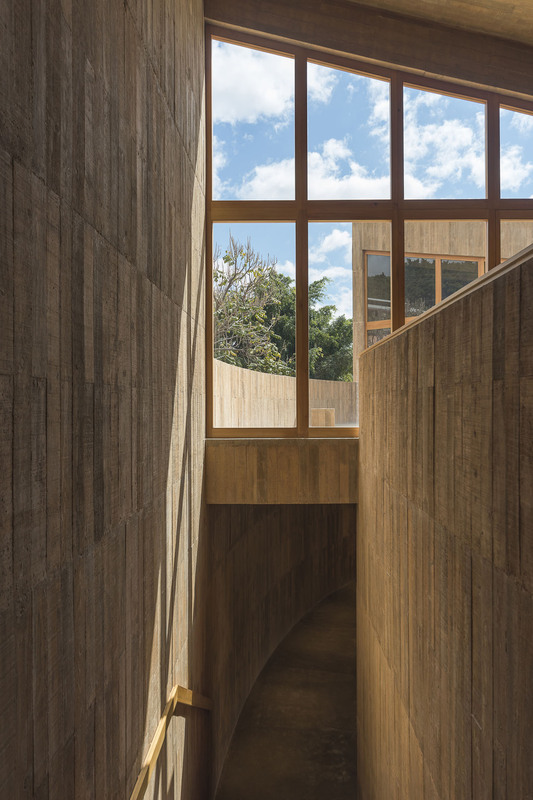 In formal terms, the project is governed by the aesthetics of the immediate context, which determine the height, color, and materials used. 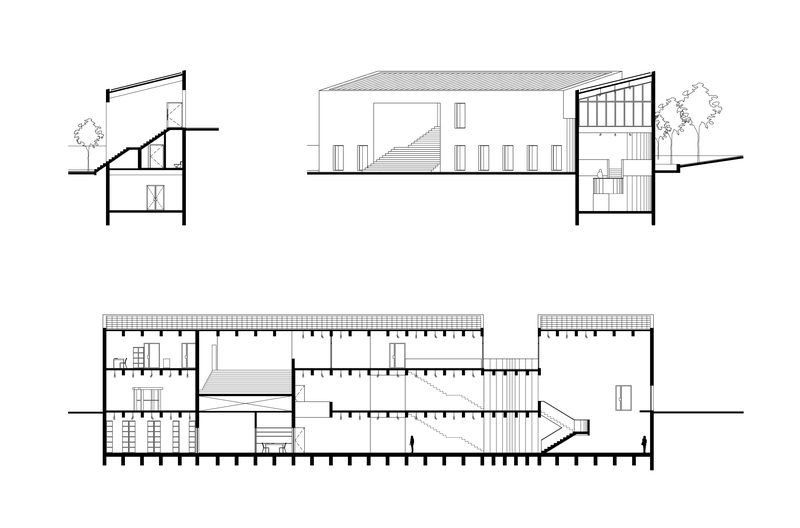 The secondary volume contains the Municipal Library and a service zone. 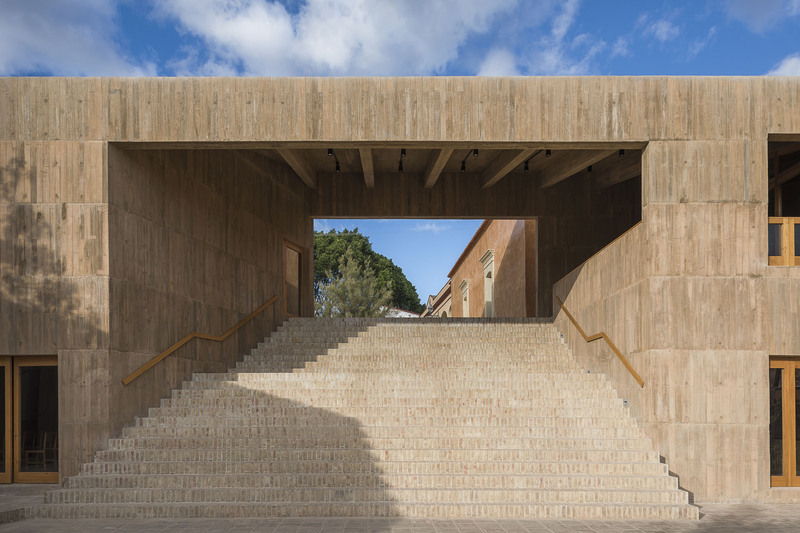 The area occupied by both buildings on the site represents just 18% of the whole surface area, leaving a large public space of plaza and gardens. 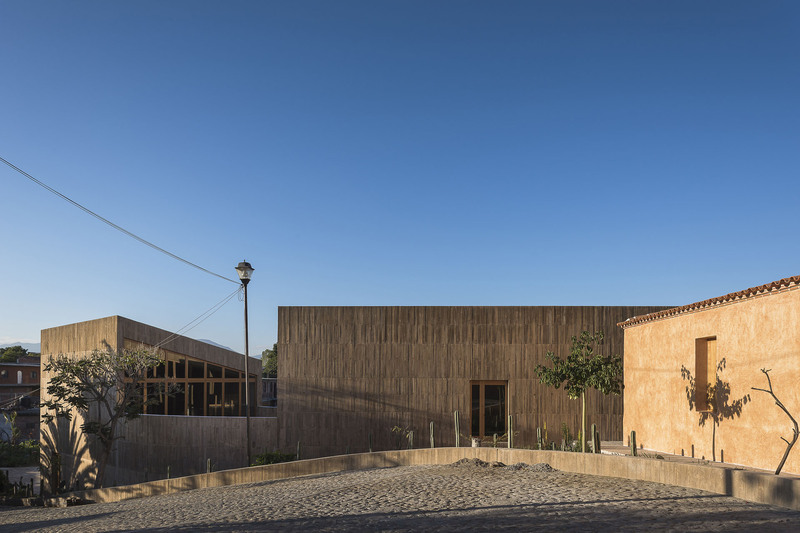 This helps to improve the pedestrian routes passing across the site and connecting with the main square, inserting the new public spaces created by the Cultural Center into the circuit of existing plazas that define the urban structure of the village. 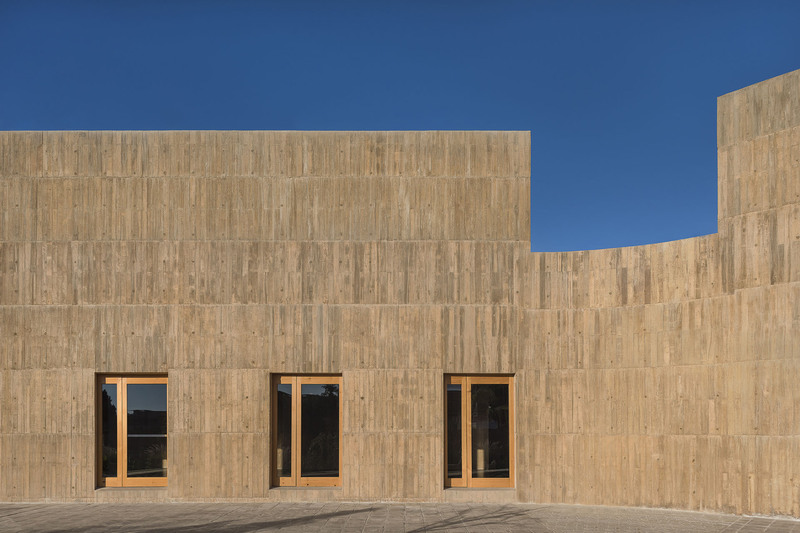 The architectural volumes present austere, neutral façades. 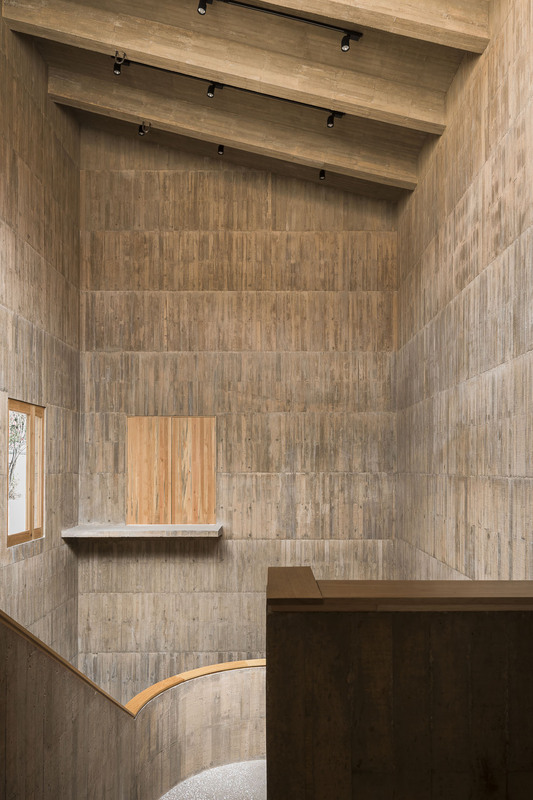 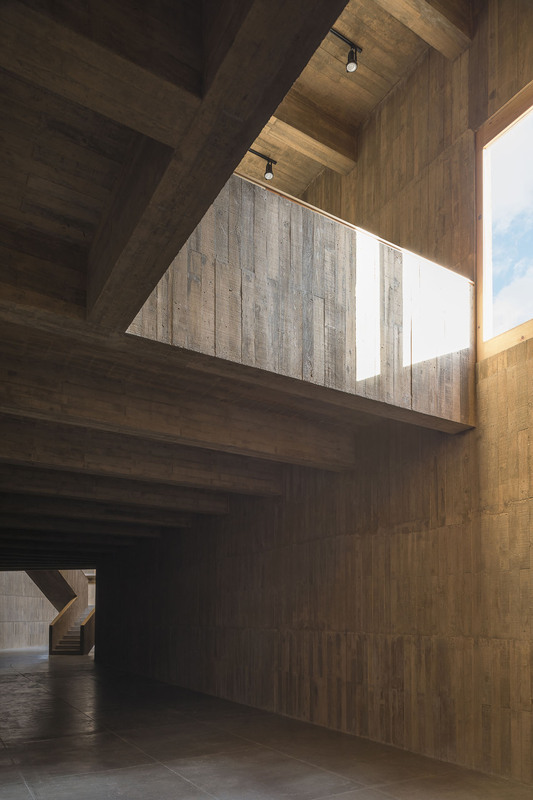 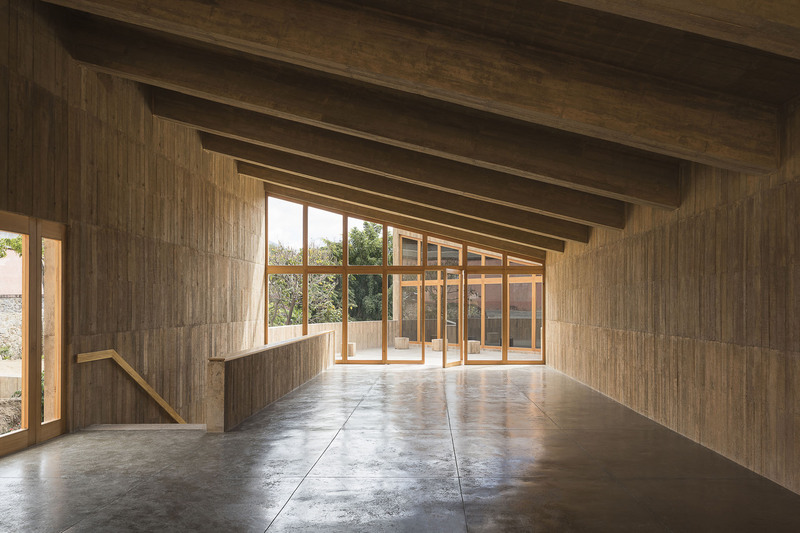 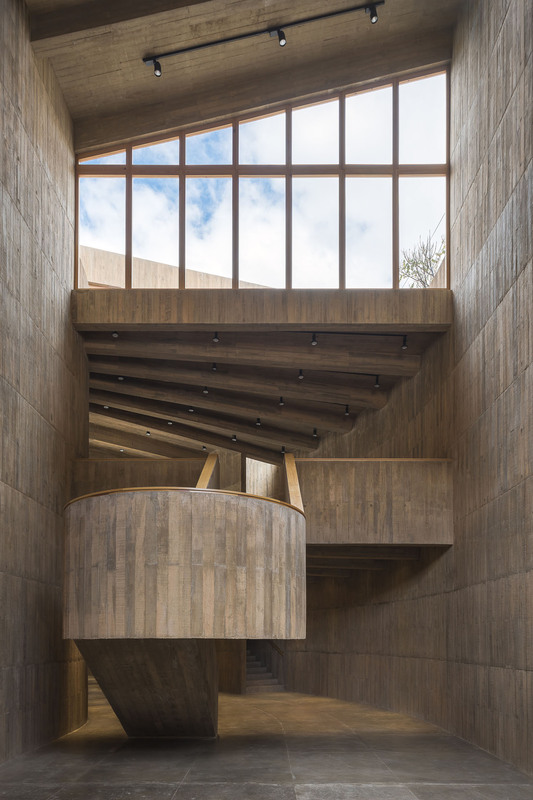 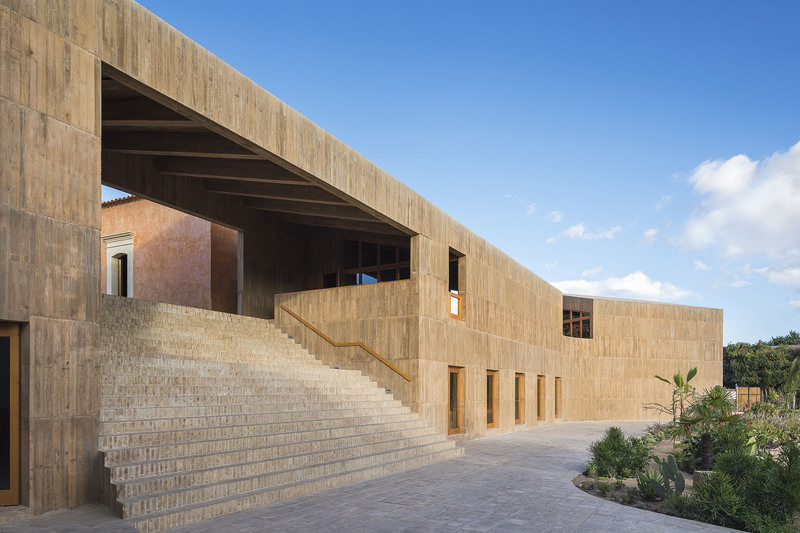 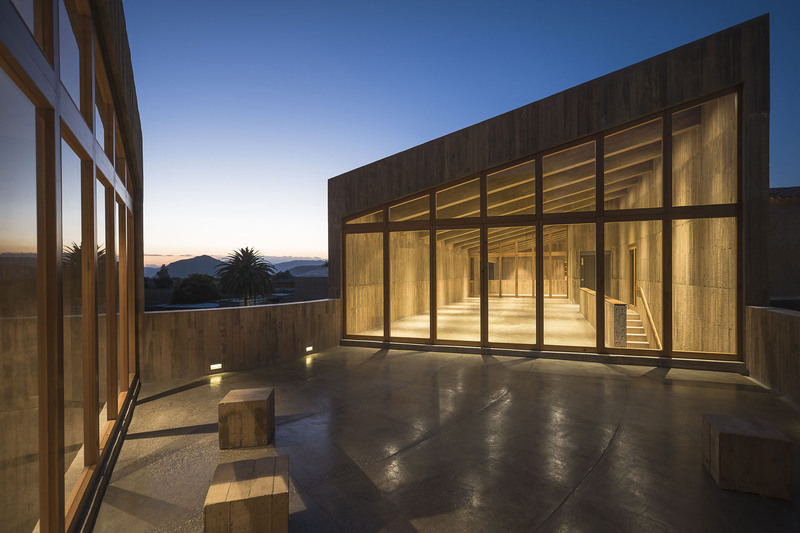 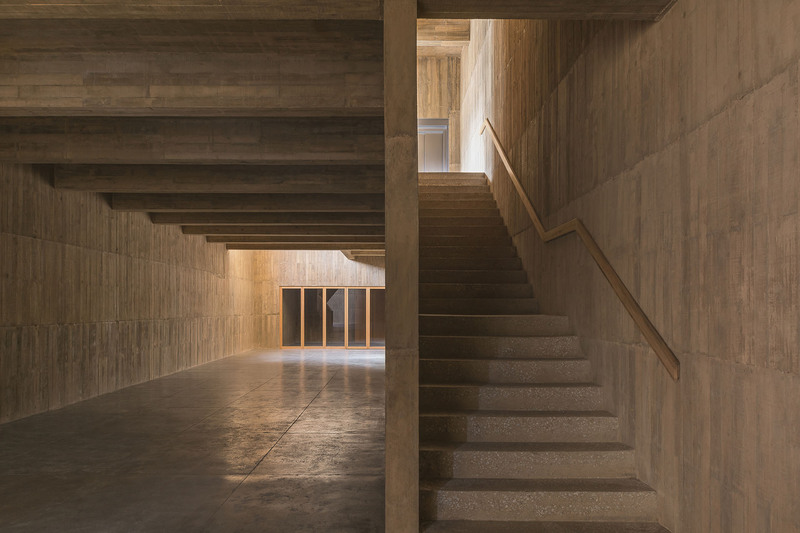 The form and material character of the building, including double-slab sloping roofs, 30 cm-thick concrete walls, and controlled openings, create a passive system that responds to the adverse climatic conditions. 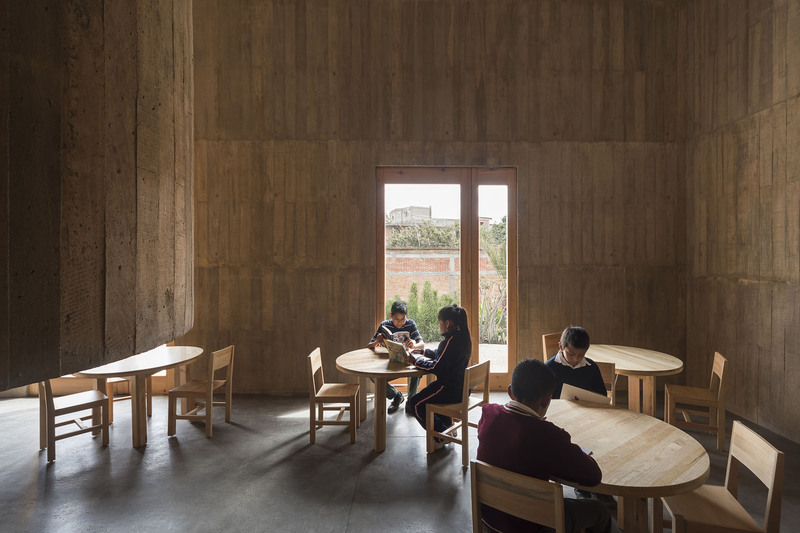 This basic strategy helps to regulate the temperature inside the building and provides users with a comfortable space to read a book, work or visit the museum, and at the same time eliminates the need to install air conditioning systems. 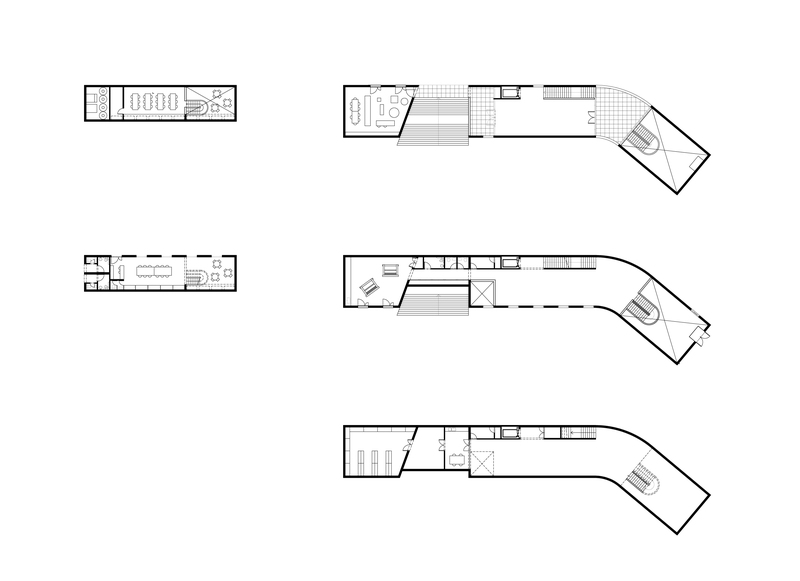 The interiors present a diverse range of lighting conditions and spatial qualities (double and triple-height spaces), generating different atmospheres for exhibitions and activities. 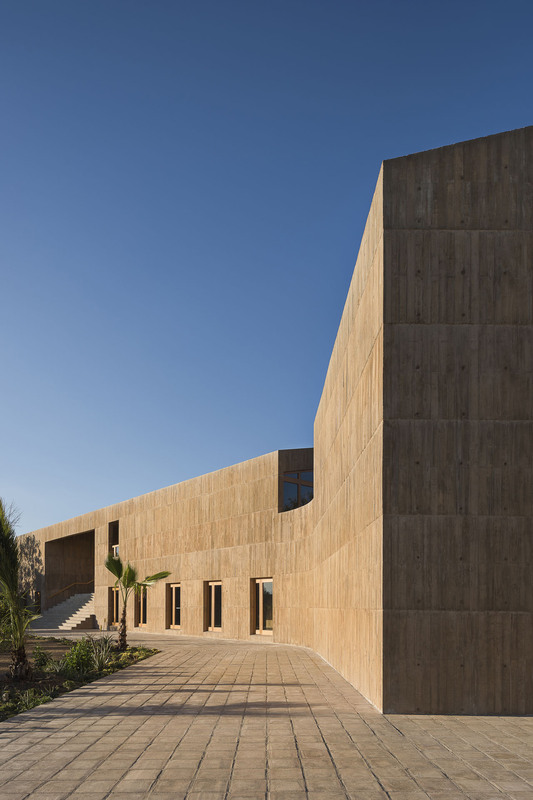 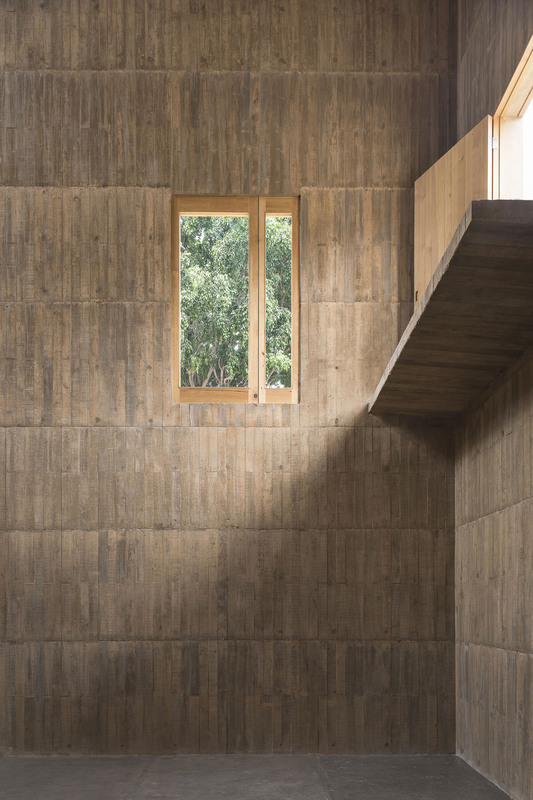 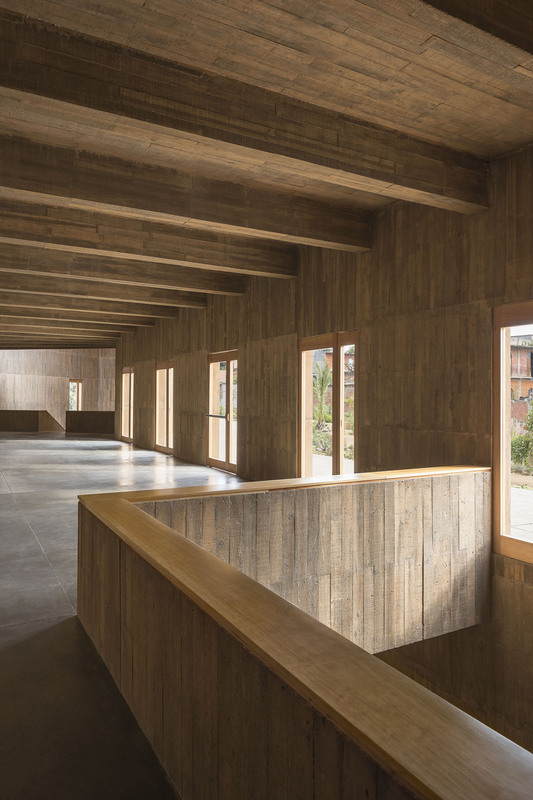 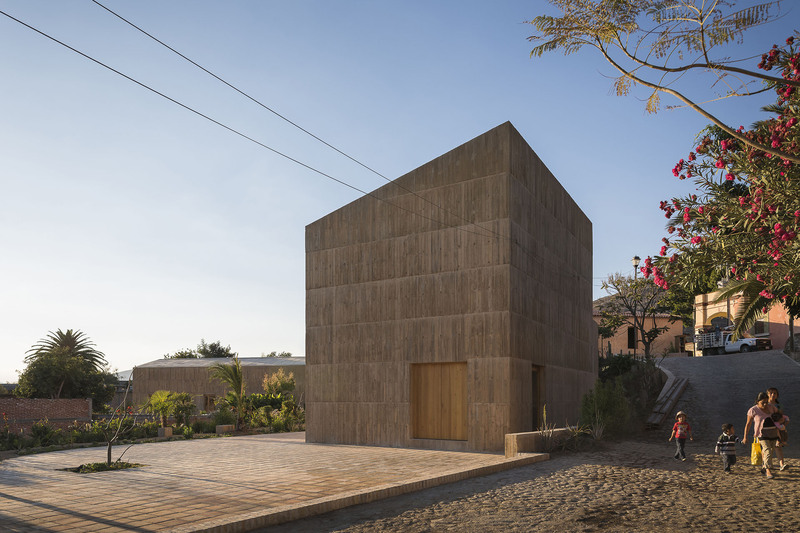 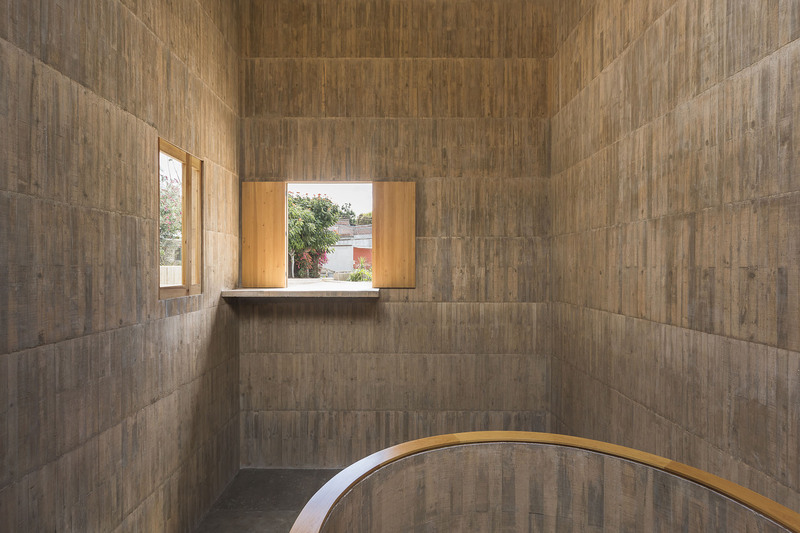 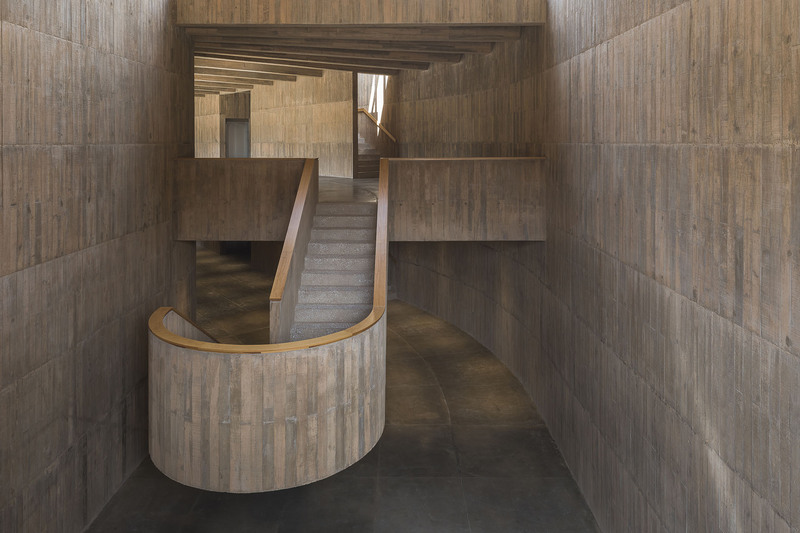 The Cultural Center uses a minimal palette of locally made materials (pigmented concrete, timber, clay tiles and bricks) in order to blend into its context. 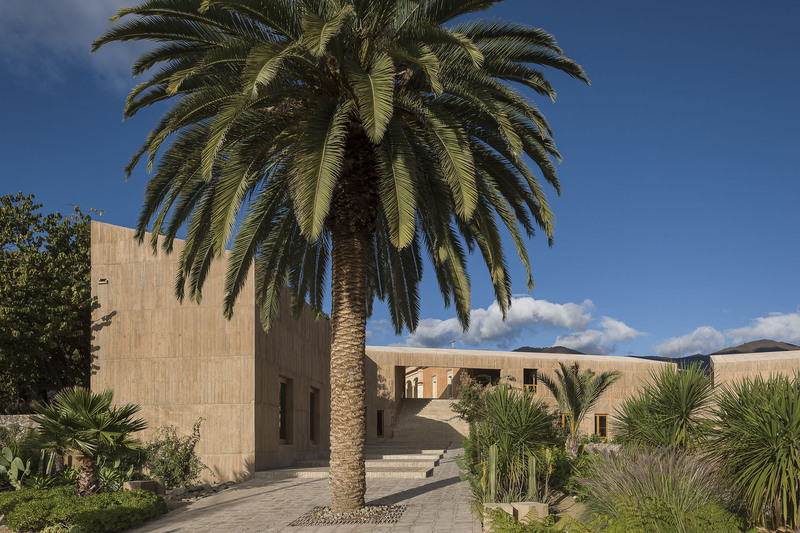 -Winner of Obras CEMEX Award 2017: Special Prize for Sustainable Building.